your Polaris dealer for all major repairs. word “WAIt” will appear on the screen. icon will flash the code. 4. Count the number of times the Check Engine icon flashes. blink 3 times, pause, and blink 6 times (code 36). found, only codes 12 and 61 will appear during the sequence. 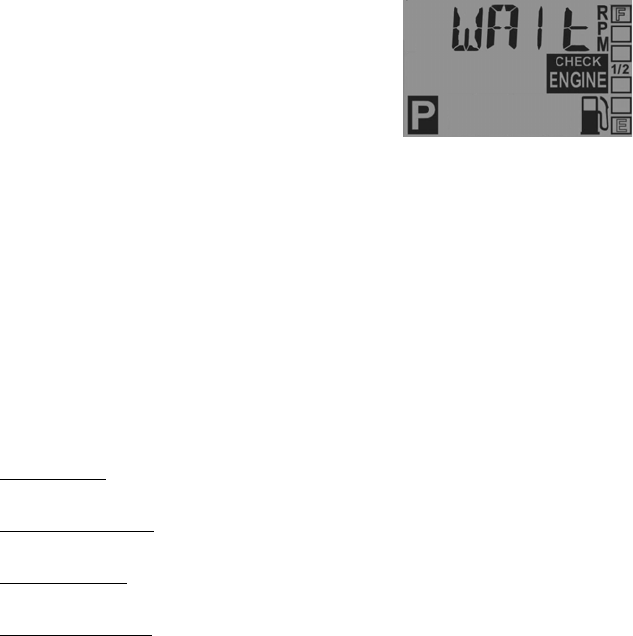 NOTE: The word “WAIt” will remain on the screen through this entire process. the chart (injector, fuel pump, etc. ), or the item has failed. control unit and the item listed in the chart. shorted together, or the item has shorted internally. the electronic control unit is shorted to a wire at battery voltage.